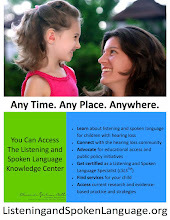 and can be read at the Listening and Spoken Language Knowledge Center website. This audiological protocol is intended to support programs for early detection and management of hearing loss in infants and children. This protocol also is a guide to appropriate and ongoing audiology services recommended for children participating in listening and spoken language (LSL) programs. This audiological protocol is intended to support programs for early detection and management of hearing loss in infants and children. This protocol also is a guide to appropriate and ongoing audiology services recommended for children participating in listening and spoken language (LSL) programs. The Alexander Graham Bell Association for the Deaf and Hard of Hearing (AG Bell) recognizes and recommends an audiological protocol that includes the test battery approach as an optimum means to access spoken language. No single test should be used in isolation to define and describe the nature and extent of a hearing loss. Ideally, every listening and spoken language program will have onsite audiological services. 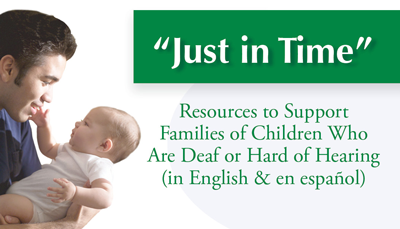 But regardless of setting, close collaboration of parents, audiologists, therapists, and educators is essential. Parents should be present and participate in all assessments. Whenever possible, the Listening and Spoken Language Specialist (LSLS®) certified professional also should be present at audiological assessments or communicate his/her questions or concerns regarding the child's hearing or technology. Joint Committee on Infant Hearing (JCIH) (2007).Year 2007 position statement: Principles and guidelines for early hearing detection and intervention programs. Pediatrics, 120(4), 898-921. Initial screening, diagnosis, and confirmation should be completed within the first three months of life—as soon as possible after birth—in order to ensure that appropriate amplification and habilitation is underway prior to age 6 months. JCIH (2007) recommends that screening be accomplished by age 1 month, diagnostic testing be accomplished by age 3 months, and intervention begin by age 6 months. When hearing loss is diagnosed, routine evaluation should occur ideally at four- to six-week intervals until full audiograms are obtained, and at three-month intervals through age 3 years. Assessment at six-month intervals from age 4 years is appropriate if progress is satisfactory and if there are no concerns about changes in hearing. Immediate evaluation should be undertaken if parent or caretaker concern is expressed or if behavioral observation by parent, therapist or teacher suggests a change in hearing or device function. More frequent evaluation is appropriate when middle ear disease is chronic or recurrent, or when risk factors for progressive hearing loss are present. The following section is based on the Joint Committee on Infant Hearing 2007 position statement. Comprehensive audiological evaluation of newborns and young infants who do not pass newborn hearing screening should be performed by experienced pediatric audiologists. The initial audiological test battery to confirm a hearing loss in infants must include electrophysiological measures and—when developmentally appropriate—behavioral methods. Confirmation of an infant's hearing status requires a test battery of audiological test procedures to assess the integrity of the auditory system in each ear, to estimate hearing sensitivity across the speech frequency range, to determine the type of hearing loss, to establish a baseline for further monitoring, and to provide information needed to initiate the fitting of amplification devices. A comprehensive assessment should be performed for each ear even if only one ear did not pass the screening test. Auditory Brainstem Response (ABR) testing using air-conducted click and tone burst stimuli and bone-conducted stimuli when indicated. When a hearing loss is detected, frequency-specific ABR testing is needed to determine the degree and configuration of hearing loss in each ear for fitting of amplification devices. Click-evoked ABR testing using both condensation and rarefaction single-polarity stimulus, if there are risk indicators (e.g., hyperbilirubinemia or anoxia) for neural hearing loss (auditory neuropathy spectrum disorder or ANSD) to determine if a cochlear microphonic is present. Auditory Steady State Response (ASSR) testing may be used as another means of assessing ear and frequency specific thresholds. ASSR testing can also be used to assess auditory nerve function when no ABR is present. Parent and clinician observation of the infant's auditory behavior as a cross-check in conjunction with electrophysiologic measures. Behavioral observation alone is not adequate for determining whether hearing loss is present in this age group, and it is not adequate alone for the fitting of amplification devices. Electrophysiological testing as described above, if responses to behavioral audiometry are not reliable. For children of all ages, AG Bell recommends that all results, questions, and recommendations are discussed with the parents in a culturally sensitive manner and in the family’s native language. Parents should leave the audiology appointment understanding the management plan. They should know when to return for follow-up appointments and what their responsibility is in the process (including monitoring full-time use of amplification technology and monitoring what the child hears with the amplification technology). Parent questionnaires such as the IT-MAIS (Infant-Toddler Meaningful Auditory Integration Scale) and ELF (Early Listening Function) may be useful in the monitoring process. Referral to medical, otolaryngological, or other resources (e.g., genetic counseling, social services, psychological counseling, occupational therapy) as appropriate. Identify the hearing instrument, including manufacturer, model, output and response, compression or special feature settings, earmold specifications, and quality of fit. In addition, earmolds need to be well made and acoustically tuned (e.g., tubing, venting, bore size to match the child’s hearing loss in order to maximize the child’s access to sound). The audiologist should listen to the hearing aids at the start of every test session, and should confirm that parents know how to perform a listening check of hearing aids. If parental concerns arise from behavioral observation or listening check. To assess change in earmold style and fit. Cortical-evoked response testing to validate hearing aid fittings, where available. To assess speech perception at soft (e.g., 35 dB HL) and at average conversational levels (e.g., 50 dB HL) in quiet and in the presence of noise to evaluate the effectiveness of amplification technology. Each hearing aid should be evaluated separately and then both tested together. Functional auditory assessments (e.g., PEACH [Parents' Evaluation of Aural/oral performance of Children], LittlEARS Auditory Questionnaire) to validate hearing aid fitting. NOTE: Functional gain measure is an appropriate verification procedure for bone conduction hearing aids and cochlear implants. Verification of amplification requires a RECD measure for children wearing hearing aids. If adequate access to the full spectrum of acoustic information of spoken language cannot be achieved for an infant or child through conventional amplification, information should be provided to the family regarding cochlear implant (CI) technology, including benefits and risks as documented in published, peer-reviewed literature along with referral to a pediatric cochlear implant center. Upon parental consent, the cochlear implant team will review the audiologic information obtained to date and perform further assessments to evaluate the child’s suitability for cochlear implantation. 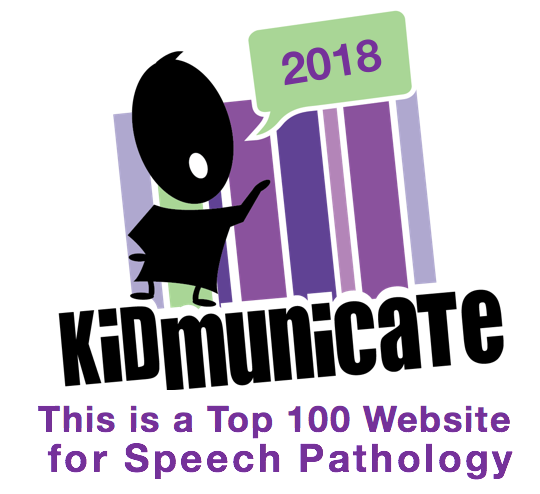 Speech perception testing should be included in the pre-CI evaluation and used both in determining candidacy and to compare to post-CI evaluations. The LSLS should participate in the cochlear implant candidacy process. Following initial mapping of the cochlear implant speech processor(s), re-mapping should be conducted on the schedule recommended by the cochlear implant team given the child's age, device(s) implanted, number of electrodes activated, and additional individual considerations such as a bilateral or bimodal fitting. Once the speech processor is programmed to provide optimal access to the speech spectrum, ongoing evaluation at regular intervals is recommended (e.g., at three-month intervals for the first year). After this period, routine assessment of performance with the cochlear implant continues to be recommended at six- to 12-month intervals if progress is satisfactory. Subjective assessment of distance hearing using the Ling 6-Sound Test to demonstrate the range of audibility provided by the technology. In a quiet environment, the child should be able to detect all of the Ling sounds at close distances (e.g., one meter or approximately 3 feet) and at substantial distances (e.g., approximately 12 meters or approximately 40 feet). Immediate evaluation is recommended if parent, caregiver, or educator/therapist observe behaviors suggesting a negative change in performance or express concern regarding device function. 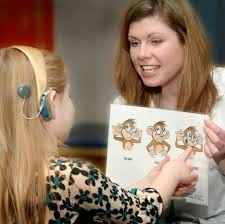 Functional auditory assessments (e.g., PEACH, LittlEARS) to validate hearing aid fitting. Every child with hearing loss will benefit from the use of an FM system to reduce the negative effects of distance and competing noise. All technology selected for children should be FM compatible. Validation and verification should be included in evaluations for children using FM systems. See Clinical Practice Guidelines for Remote Microphone Hearing Assistance Technologies for Children and Youth Birth-21 Years (American Academy of Audiology, 2008; available at http://www.audiology.org/publications-resources/document-library/hearing-assistance-technologies). testing at 40 dB above threshold if possible. understand what the child is hearing. Note 1: The purpose of all auditory technologies is to deliver the most complete sound possible to the child’s brain, where actual “hearing” occurs. The task of technologies is to access, stimulate, and develop neural pathways that are the basis for listening, talking, reading and learning. *Note 2: The age levels presented represent a child’s developmental levels as well as chronological age. A child (or adult) with developmental delays should be assessed with tests appropriate to his/her developmental level, not chronological age. Note 3: Aided testing refers to whatever technology the child is using. This may be hearing aids, cochlear implants, osseointegrated devices, FM systems, and other. Each ear should be tested separately with technology, as well as binaurally. Note 1: The purpose of all auditory technologies is to deliver the most complete sound possible to the child’s brain, where actual “hearing” occurs. The task of technologies is to access, stimulate, and develop neural pathways that are the basis for listening, talking, reading, and learning. Note 3: Speech tests are to be presented in unaided and aided conditions. Aided testing refers to whatever technology the child is using. This may be hearing aids, cochlear implants, osseointegrated devices, FM systems and other. Each ear should be tested separately with technology, as well as binaurally. CNC - Consonant Nucleus Consonant Test. See Mackersie, C. L., Boothroyd, A., & Minnear, D. (2001). Evaluation of the Computer-Assisted Speech Perception Assessment Test (CASPA). Journal of the American Academy of Audiology, 27, 134–144. Baby Bio - See Spahr, A. J., Dorman, M. F., Loiselle, L., & Oakes, T. (2011). A new sentence test for children. 10th European Symposium on Pediatric Cochlear Implantation. Athens, Greece, May 12-15. Disclaimer: The protocol outlined in this document is not prescriptive for professionals who hold the Listening and Spoken Language Specialist (LSLS®) certification to utilize in their scope of practice and is not required by Alexander Graham Bell Association of the Deaf and Hard of Hearing or the Alexander Graham Bell Academy for Listening and Spoken Language. This reference contains guidelines and recommendations for use at the professional’s discretion. AG Bell disclaims any liability to any party for the accuracy, completeness, or availability of this documents, or for any damages arising out of use of this document and any information it contains. 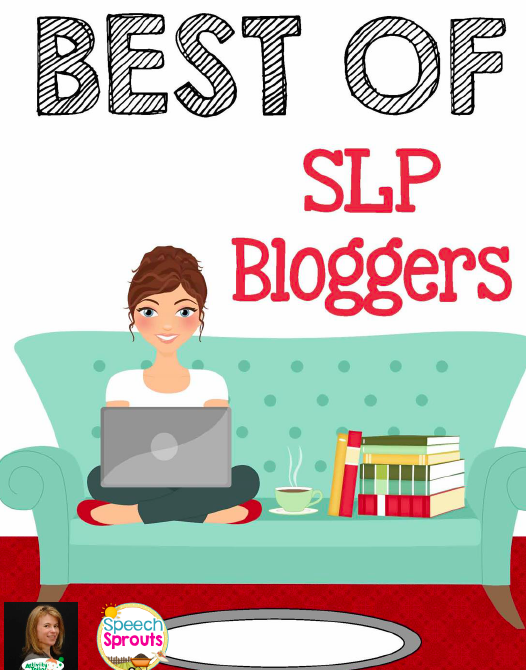 Listening and Spoken Language Specialist (LSLS®), Auditory-Verbal Therapist (LSLS Cert. AVT®) and Auditory-Verbal Educator (LSLS Cert. AVEd®) are trademarks of the AG Bell Academy for Listening and Spoken Language. © Copyright 2014 Alexander Graham Bell Association for the Deaf and Hard of Hearing. All rights reserved. Alexander Graham Bell Association for the Deaf and Hard of Hearing (2014). Recommended protocol for audiological assessment, hearing aid and cochlear implant evaluation, and follow-up. Washington, DC: author.